CG PAT Admit Card 2018: The Chhattisgarh Professional Examination Board, Raipur will announce the CG PAT Admit Card for the Chhattisgarh Pre-Agriculture Test (CG PAT) in the third week of May 2018 for the courses like B.Sc. Agriculture and B.Sc. Horticulture degree courses, offered by the Indira Gandhi Agriculture University (IGAU). Aspirants have to use the credential details like registration number and date of birth to download the CG PAT Admit card. 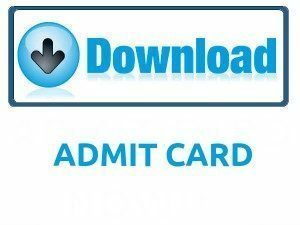 For more updates on CG PAT Admit Card 2018 look at this page completely. Every organization has set up the admit card or hall ticket for any examinations to sort out the fake candidates in the examination center. Without the admit card, the organization will not permit the aspirants to attend the examination. The admit card has important details about the exam and participant like Applicant Name, Photograph of the applicant, Exam name, Exam Center Name, Exam Center Code, Exam center Address, Applicant Address, Mother or Father Name, important instructions for the examination. The contenders need to bring the identity like the college id, Aadhar card etc along with the admit card to the examination center for the security reason. Candidates must secure the admit card till the declaration of the result because to check the examination result every one needs the details of admit card. Everyone has to reach before 20 minutes to the exam to avoid the last minute rush and verify the details at the back of admit card or hall ticket. The more updates about the Chhattisgarh Pre-Agriculture Test like details in admit card, essential documents for the exam, and steps to download the admit card has mentioned below. We have given the below steps for download the admit card or hall ticket from the official website. Because some applicants get some confusion to download the admit card. To avoid the problems candidates can follow the below steps. Log in to the official website of Chhattisgarh Professional Examination Board, Raipur www.cgvyapam.choice.gov.in. Search for the CG PAT Admit Card for the entrance exam. Click on the CG PAT Admit Card link. CG PAT Admit Card will appear on the screen. Download the CG PAT Admit Card. Submit CG PAT Admit Card with an identity at the examination theater. The candidates who will successfully complete the application process for the Chhattisgarh Pre-Agriculture Test will only eligible to download the CG PAT Admit Card or hall ticket. The Chhattisgarh Professional Examination Board, Raipur will announce the admit card release date. After the application process, the admit card will be released by the institute. We will update the download link in this article when the organization released. Mostly the university release the admit card 15 days before the examination date. After the admit card declared the contenders must download at least 1 week prior to the exam and check the details in it because there may be errors in the name or roll number. If aspirants found any rectifications then immediately intimate the university and correct the mistakes in admit card. The Chhattisgarh Professional Examination Board, Raipur will conduct the Chhattisgarh Pre-Agriculture Test in the month of the Fourth week of May 2018. After the examination process, the result date will be declared in the month of the First week of July 2018. Keep visiting our website for more latest updates. The admit card is an important document in the examination process. The organization will not allow the candidates into the exam center. Because the admit card has details of the applicant and exam. The Admit card has a below information. The CG PAT Admit Card will be available on this page to download. The Chhattisgarh Professional Examination Board, Raipur will officially upload the admit card or hall ticket on their website. For the aspirant’s convenience, we have given the direct download link of CG PAT Admit Card at the end of this page. When the Chhattisgarh Professional Examination Board, Raipur releases the admit card we will activate below link which is linked to the official website. The start date of the application process is in the Second week of April 2018 and the close date of the application process is in the First week of May 2018. The exact dates will be updated soon when the Chhattisgarh Professional Examination Board release. Every candidate must carry any document from below mentioned identities for security purpose at the exam center. The management will not allow to exam center without these documents along with admit card. The above page is of CG PAT Admit Card will helpful for the applicants who will apply for the Chhattisgarh Pre-Agriculture Test. If candidates have any doubts on this article can leave a comment on below comment box for further clarifications. For more updates on recruitment, syllabus, previous papers, answer key’s, result etc just click on our website Sarkari Recruitment. Thank you.